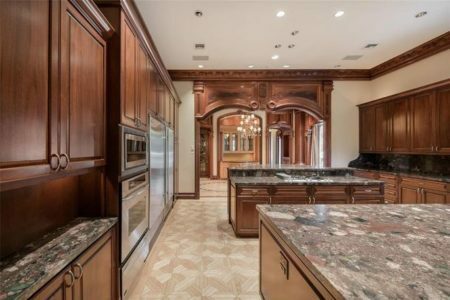 A Houston mansion boasting five bedroom, nine bathrooms and 15,000 square feet of space is now the country’s most expensive foreclosed property, clocking in at $9.75 million after the original price was slashed from $15.9 million. 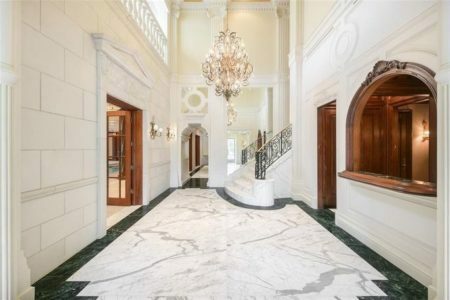 Located in the upscale River Oaks neighborhood, the mansion “features a wealth of amenities including meticulously manicured grounds, a circular motor court leading to a five-car garage, [and] a ballroom,” writes Lisa Johnson Mandell for realtor.com. The bank-listed property entered the foreclosure market in late September and no details were immediately available about the identity of the previous owner or how that person fell into financial straits. Also included is an indoor pool equipped with a movie projector, multiple kitchens and laundry rooms, wine cellar and an elevator. 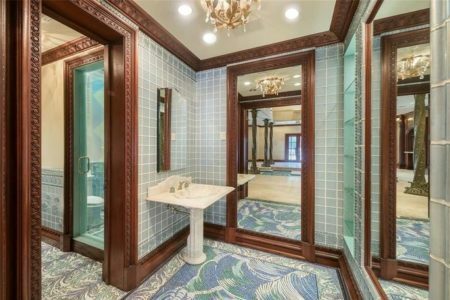 This could be a steal for any up and coming mansion buyer. Zillow estimates a mortgage will put you back $40,388 a month, so start saving those pennies. Previously, a sprawling Napa Valley estate held the title for the most expensive foreclosure property when it hit the market in August for $5.5 million. Known as Villa Vigne, the 40-acre Saint Helena estate was built by California developer Nathan Topol in 2000 as a vacation residence. But four years after Topol was killed in a tragic car accident in 2013, the estate fell into the hands of creditors. 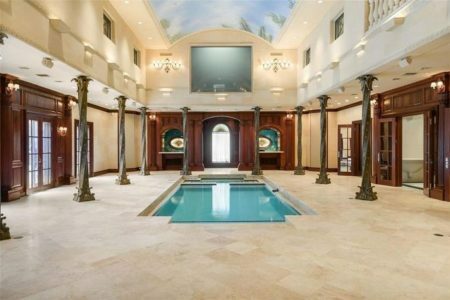 Fathivand doesn’t expect the Houston mansion to stay on the market for long, telling realtor.com she had already received “interesting feedback,” like a suggestion for an outdoor pool and an inquiry about replacing the indoor pool with a ballroom. These homes are part of a nationwide bump in foreclosure rates this year — the first in three years. 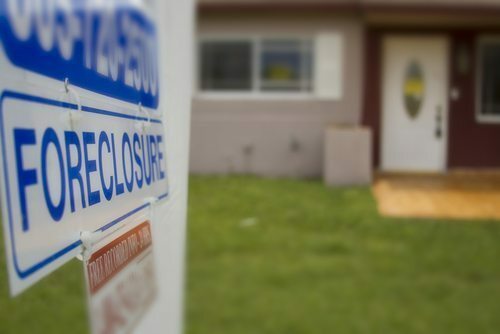 Nationwide foreclosure starts increased by less than 1 percent year-over-year in July after 36-consecutive months of decreases, according to a Attom Data Solutions’ latest foreclosure market report, released in August. Although the nationwide spike in foreclosure starts is minuscule, 96 of the 219 metropolitan statistical areas (MSAs) Attom tracks experienced year-over-year foreclosure increases, which in some cases topped 100 percent as part of a multi-month trend.